Police in Ballymoney, working in partnership with the CESAR, the official marking scheme for plant and agricultural machinery, are helping farmers to prevent the theft of vital farm vehicles, such as tractors, plant and quads, by holding a unique ‘CESAR It!’ day next month. The fitting of the popular CESAR vehicle marking system will be offered at a hugely reduced price at the event at John McElderry Motors and Tractors Ltd., Market Street on Tuesday 3 April. The CESAR Scheme is the official Home Office Approved marking and registration scheme that gives the peace of mind that your equipment is protected by state of the art technology, is a visual deterrent to thieves and aids identification making it easier to return to its owner if stolen and recovered. CESAR has the added benefits of having no annual fees and reducing insurance costs. The CESAR scheme is powered by Datatag, the UK’s leading identification technology company. CESAR is approved and recommended by the Police Service of Northern Ireland and the Association of Chief Police Officers. Launched in 2007 CESAR is now the most successful scheme of its type anywhere in the world with over 75,000 machines registered on the scheme. The British Home Office, the police, and the insurance and equipment finance industries fully support CESAR. Major equipment manufacturers that fit CESAR as standard, on machines for the UK market, include, John Deere, JCB, New Holland, McCormick, Zetor and Manitou. CESAR registered by machines are 4 times less likely to be stolen than unregistered machines, one reason why leading insurers give up to 12.5% discount for CESAR registered machines. 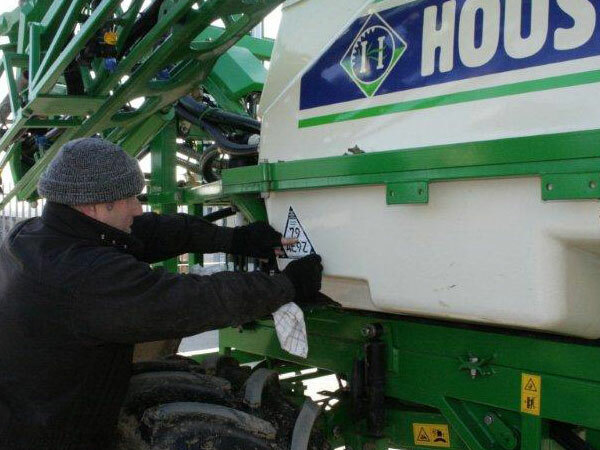 The first 30 farmers who register for the CESAR It day can have the benefit of a CESAR kit fitted to one of their vehicles at a significantly reduced price to the standard prices. Inspector David Anderson said: "This scheme is just one of a range of events and projects such as our successful trailer marking days and information stands for farmers being held by H District to help prevent agricultural crime and raise awareness of crime prevention measures." Cathy Doyle of Pirtek Belfast, suppliers of the CESAR system in Northern Ireland, added: "As an additional incentive to farmers to benefit from the ‘CESAR It’ day, Pirtek Belfast will refund one lucky farmer the cost of their CESAR Kit! This coupled with the discounts on insurance available for having CESAR fitted makes this offer too good to miss." The event forms part of Northern Ireland-wide action by the Police Service to tackle farm thefts and help members of the rural community to protect their property. Police will be bringing the latest crime prevention information to farmers at a number of major farm shows this summer. 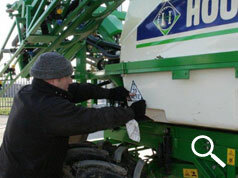 Farmers can contact their local Crime Prevention Officer for help with preventing thefts. To register for the ‘CESAR It’ event please contact Cathy Doyle of Pirtek Belfast on 028 9036 2591 or email cathy.doyle@pirtekbelfast.co.uk.